Dedicated and hard working, Mildred Clementina Sawyer spent her long career with the real estate and insurance sectors of the business industry. She started as a clerk for the Prudential Insurance Company in Brockton, Mass., from 1947 to 1957, and became a clerk for Clark Brothers in Olean, N.Y., in 1957. Then, between 1958 and 1987, she worked as a typist in both Rhode Island and New Jersey. In 1984, Ms. Sawyer also joined the Massachusetts Indemnity Life Insurance Company in Cranston, R.I., as an insurance sales agent, and JLC and Home Realty in Chepachet and North Scituate, R.I., as a real estate sales agent. She remained with the former until 1989 and the latter until 1997. She also garnered experience as a security sales representative for First American National Securities, Inc., between 1986 and 1989. Ms. Sawyer really found her niche in the latter years of her professional journey. She transitioned into the field at her husband’s suggestion because the hours were flexible and allowed her time to care for her children. This led her to add mutual funds to her expertise, and she found that she was good at setting people up for retirement. She was even honored as the member of the month through her real estate firm, and was featured in numerous editions of Who’s Who in Finance and Business, Who’s Who of American Women, Who’s Who in America, and Who’s Who in the World for her efforts. In addition to her business career, Ms. Sawyer has written numerous poems and children’s stories, and is the author of both “A Lifetime of Hints for Everyday Living” and “Remembering Sunday, Journey to Infinity.” She also contributed “Girlfriend Should Have Called Man’s Parents” as a Letter to the Editor for the Providence Journal. Her efforts led her to become a member of the Society of Children’s Book Writers and Illustrators. Now that she is retired, Ms. Sawyer spends her free time reading, gardening, cooking, sewing, and exercising to stay fit and healthy. She also makes sure she keeps up with political news, both in her community and in the world. She enjoys being active in her community, as she has lived there since 1967 and has developed strong roots. 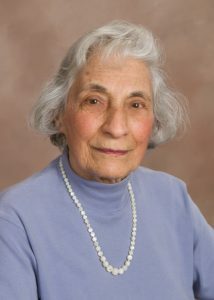 A civic-minded person, Ms. Sawyer became involved in community work as secretary of the Cold Spring Harbor Heights Civic Association in Huntington, N.Y., from 1961 to 1963, and was a member of Save All Foster’s Environmental in Foster, RI, from 1969 to 1977, Students for a Democratic Society from 1970 to 1972, and the Rhode Island Council for the Humanities. She is presently a member of the Union for Concerned Scientists and the Institute of Noetic Sciences, a branch of metaphysical philosophy concerned with the study of mind as well as intellect.